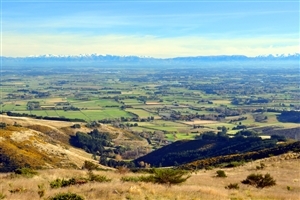 Transfer from Christchurch airport to Ashburton in the Canterbury Plains. 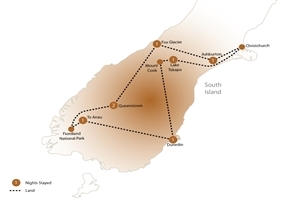 Enjoy a scenic drive through the Southern Alps to Westland National Park, and then travel along the west coast and view of Franz Josef Glacier (or travel part of the way on the TranzAlpine Train; own expense). 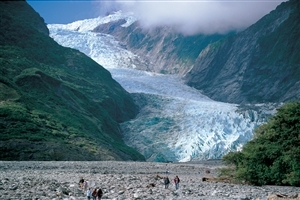 Cross the Southern Alps and travel through Haast Pass. Next day at leisure in Queenstown. 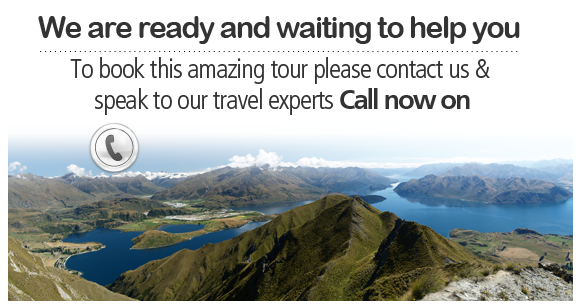 Drive past the Remarkables mountain range to Fiordland National Park. 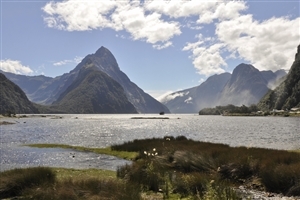 Enjoy one of the world’s best alpine drives and then a cruise along Milford Sound. Continue by coach to Te Anau. Arrive in Dunedin and enjoy a city tour. Later, head to nearby Larnach Castle. Admire the snow-capped mountains, then journey along the east coast and see the Moeraki Boulders. See some of the country’s best 19th century architecture in Oamaru. 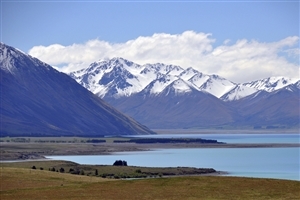 Look around the beautiful Lake Tekapo and visit the tiny Church of the Good Shepherd before your tour ends at Christchurch airport.